An increase in demand for smaller, patient-portable machines is one of the key projected growth forecasts for the medical device industry. In the next five years, the global medical device market is expected to build to $409.5 billion, a compound annual growth rate of 4.5% from 2018-2023. That’s according to Research and Market’s April 2018 report, “Medical Device Market Report: Trends, Forecast and Competitive Analysis.” Portable medical devices such as cardiac monitors, hemodynamic monitors and respiratory monitors have seen escalated production over the previous five years, and that growth is projected to continue. The precision engineering of components for medical devices is one of the primary focuses at Axenics. As technology improves and the demand for tinier pieces of devices are required, Axenics ensures its facility and team are always developing. Axenics offers a variety of services to assist the medical device industry, such as specialty piping kits, precision and CNC tube bending, tube cuttings, tube assemblies, TIG manual and orbital welding and specialized gas systems. 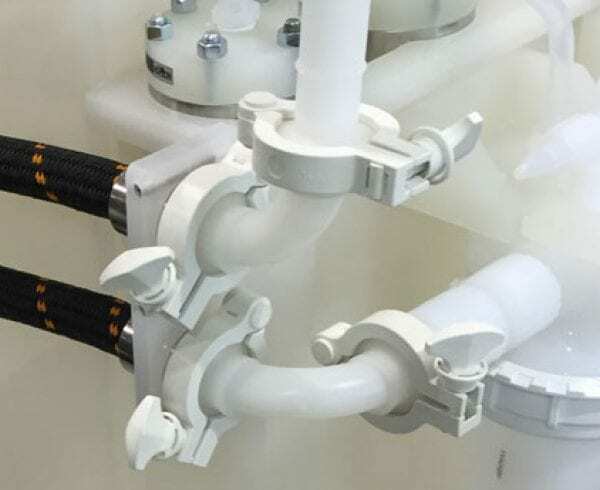 Specialty piping kits designed by Axenics help reduce maintenance and make installation easier for medical device clients since the kits are exactly the same every time. 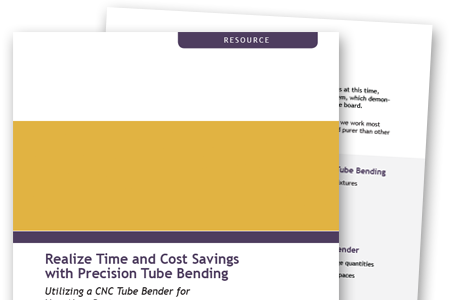 Caleb Blanchette, an Operations Manager with Axenics, focusing on plastics, said they regularly perform plastic bending of tubes as small as ⅛-inch. He said Axenics uses techniques for tube bending that are unique to the manufacturing industry. 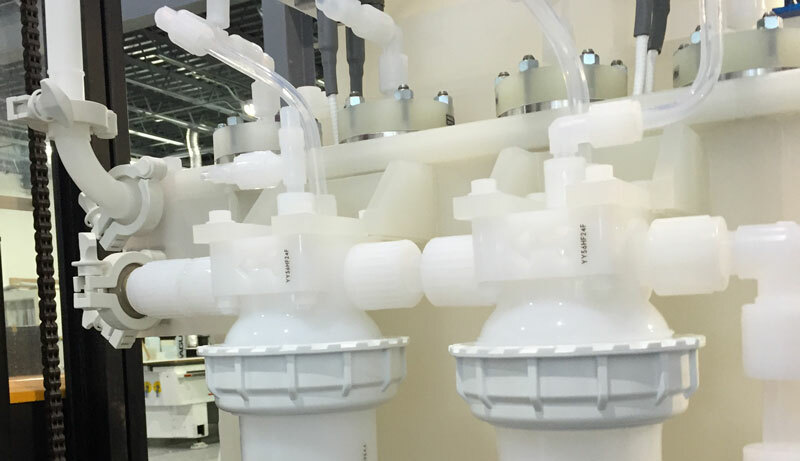 For some medical devices, plastic is the optimal choice to ensure high purity and high cleanliness and to avoid the contamination that could occur when some metals flow through metal tubing. Axenics receives raw tubing that has been professionally cleaned and bagged by the plastic supplier. This process reduces the number of contaminants on the plastic from the start. Precise plastic bending ensures that multiple fittings are not needed, so there is less opportunity for bacteria to grow. It’s a smoother transition for liquids to get from A to B in a device. Depending on the client and the use of the tubing, Axenics utilizes a Class 100 Cleanroom for bending. to ensure that they meet or exceed customer expectations. Maintaining a cleanroom and testing lab at the facility allows clients to focus on optimizing chemical manufacturing processes. Development of new technology and an aging population are additional reasons for forecasted growth in the medical device industry. The United States is the largest consumer of medical device products on the planet. Caleb, who has been with Axenics for 19 years, said that it has been very rewarding to see concepts for new medical devices arrive at the company in the research and development phase and then arrive at completion, potentially improving the health and well-being of millions of Americans. Axenics gets sneak previews of innovations in the medical device industry and offers precision engineering solutions to improve the functionality of final products. Like those in the medical device industry, Caleb is also focused on the future, expanding Axenics’ capabilities to work with new industries.